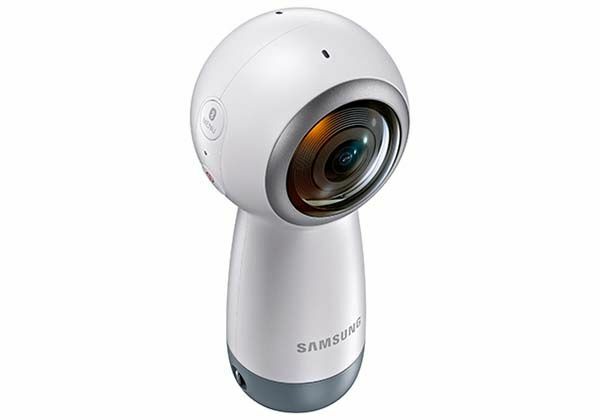 In addition to Galaxy S8 and Galaxy S8+, Samsung has also announced Gear 360 (2017), its latest 360-degree camera with 4K video recording. Want to learn more about the mini camera? Let’s continue reading. The new Gear 360 is an advanced and high-performance 360-degree panoramic camera that measures 100.6 x 46.3 x 45.1mm and weighs 130g. 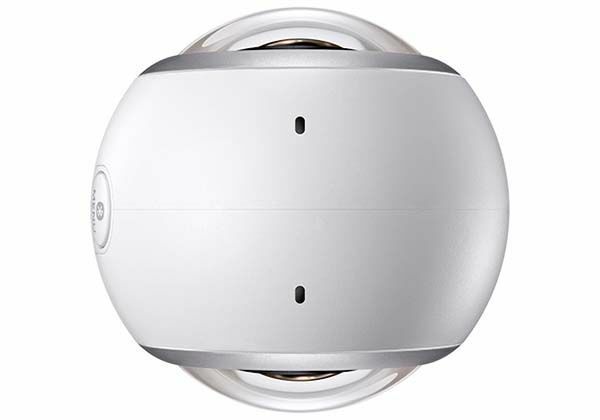 As we can see from the images, the 360-degree camera shows off a sleek and compact appearance design. Compared with original Gear 360, the new version features a seamlessly integrated handle that allows you to comfortably hold the camera in your hand for convenient video recording. The 360-degree camera comes equipped with two 8.4MP image sensors and dual fisheye lenses with f/2.2 aperture in order to capture 360-degree video and stills, and 4K video recording delivers immersive and realistic digital content. Using multiple viewing modes, editing tools and photo effects and filters, you can easily create custom content. 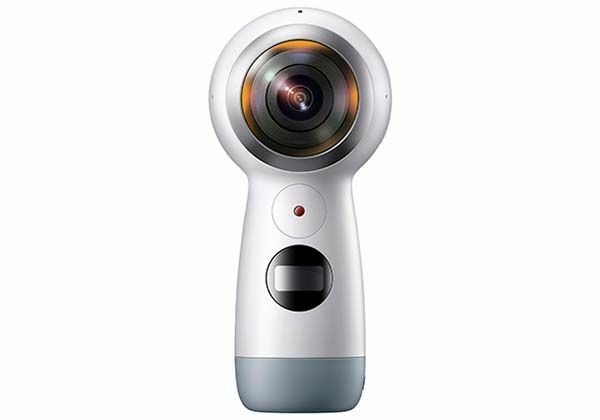 Furthermore, using built-in WiFi connectivity, the Gear 360 supports real-time broadcasting or you can also upload your videos to social network like Facebook, YouTube, Samsung VR and more. Apart from these, the other features also includes 1160mAh rechargeable battery, microSD card slot supporting up to 256GB, and IP53 dust and water resident casing. Samsung Gear 360 (2017) 360-degree camera will be available for $349 USD. If you’re interested, jump to Samsung Amazon shop for its more details. BTW, don’t miss the wearable VR camera and more related items by following tags.